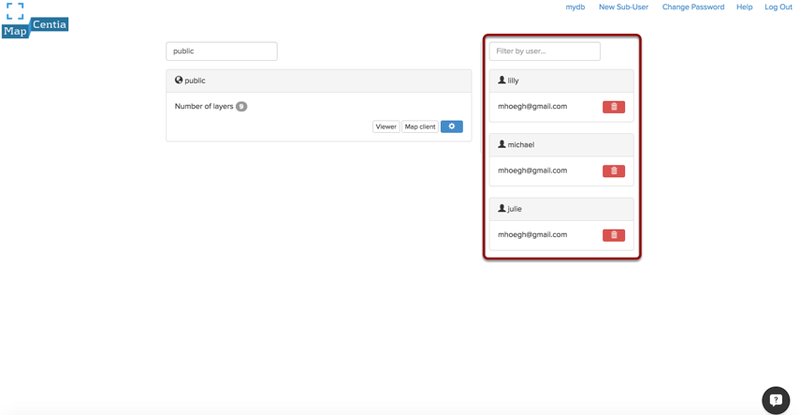 This feature makes it possible to create new users under your regular Ramani Cloud account. The new users are called sub-users and do not have their own database, but will log into the "parent" database. 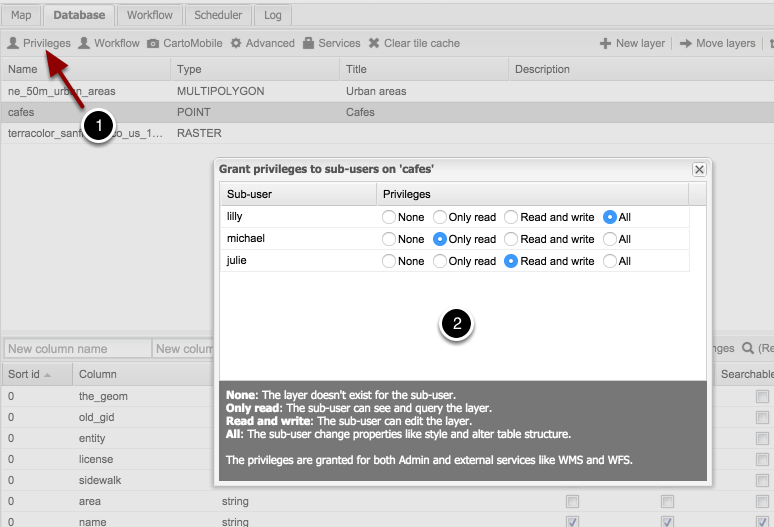 The parent-user will be able to assign the sub-user privileges such as read/write access to certain layers. 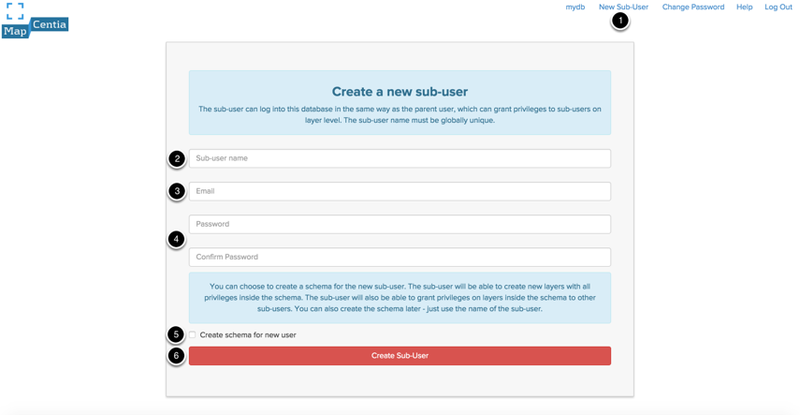 A new sub-user will have its own schema in the database, where the sub-user can create its own maps sets and assign privileges to other sub-users. After sign-in, click on 'Users Management'. Click 'Add Sub-User', and the register form will appear. Fill all column. The username must be unique among all users and sub-users on the server. All sub-users can be found at 'Users Management' and 'Services'. Start by choosing which layers you want to give sub-users access to. Click on a layer-line in the Database tab, so it becomes gray. Then click Privileges. None: Sub-user has no access to the layer. The sub-user will not see the layer in Ramani Cloud Admin Viewer and WMS/WFS. Read: Only read access. The layer is visible to the sub-user Ramani Cloud Admin Viewer and WMS / WFS. 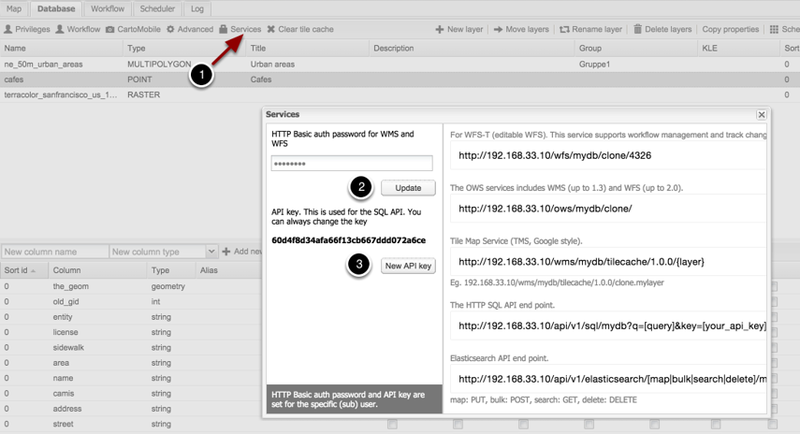 Write: Enables sub-user access to write to the layer in Ramani Cloud Admin and through WFS. All: sub-user can change the layer properties such as style and table structure. It is important to set the layer's Authentication Level to "Read/write" if some sub-users only are given read privileges. By 'Write' all have read privileges, including sub-users. Services for Service dialog to apear. Password is selected and click Update.